This book traces the chronological development of Atwood’s global reputation from Canadian nationhood to world-wide politics and from the role of women to gender identity. Chapters offer a comprehensive overview of her poetry, novels, shorter fiction, children’s books, criticism and experimental multi-genre work. There are more detailed analyses of Atwood’s most influential writing, from her first novels such as Surfacing and The Edible Woman, through the works that ensured her international reputation such as The Handmaid’s Tale, Cat’s Eye and The Robber Bride, to her most recent work, Alias Grace and Oryx and Crake. 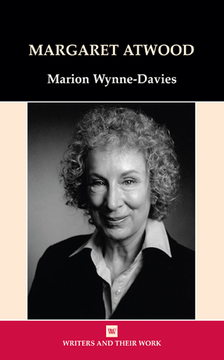 Wynne-Davies presents these works through an overall understanding of Atwood’s intelligence, humour, linguistic dexterity, breadth of vision and ethical integrity. Marion Wynne-Davies holds the Chair of English Literature in the Department of English at the University of Surrey. Her main areas of interest are Early Modern literature and women’s writing. She has published two editions of primary material, Renaissance Drama by Women: Texts and Documents (with S.P. Cerasano) and Women Poets of the Renaissance, as well as several collections of essays in the same field. Her other studies include, four monographs, Women and Arthurian Literature, Sidney to Milton, and Women Writers of the English Renaissance: Familial Discourse.